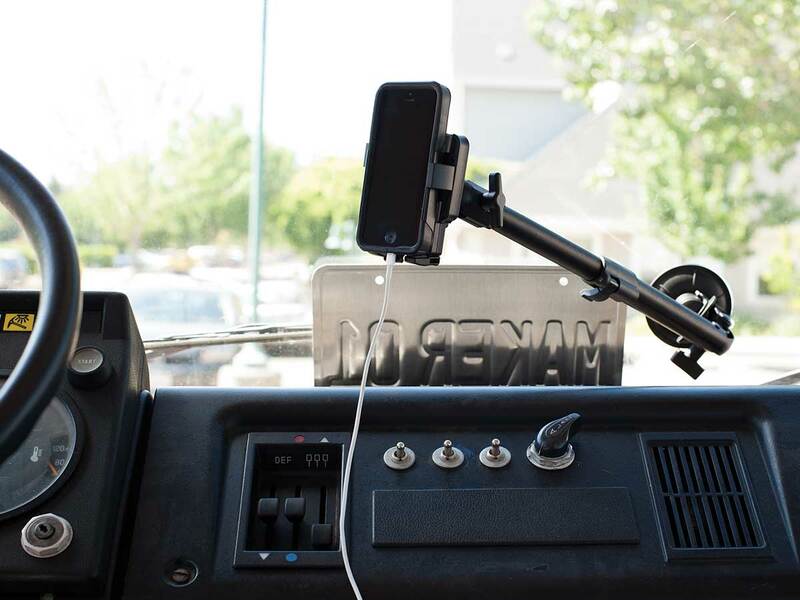 Take your favorite workholding accessories on the road with the PanaVise PortaGrip cellphone holder line. Fans will instantly recognize the PortaGrip’s styling, reliability, and flexibility as PanaVise hallmarks. 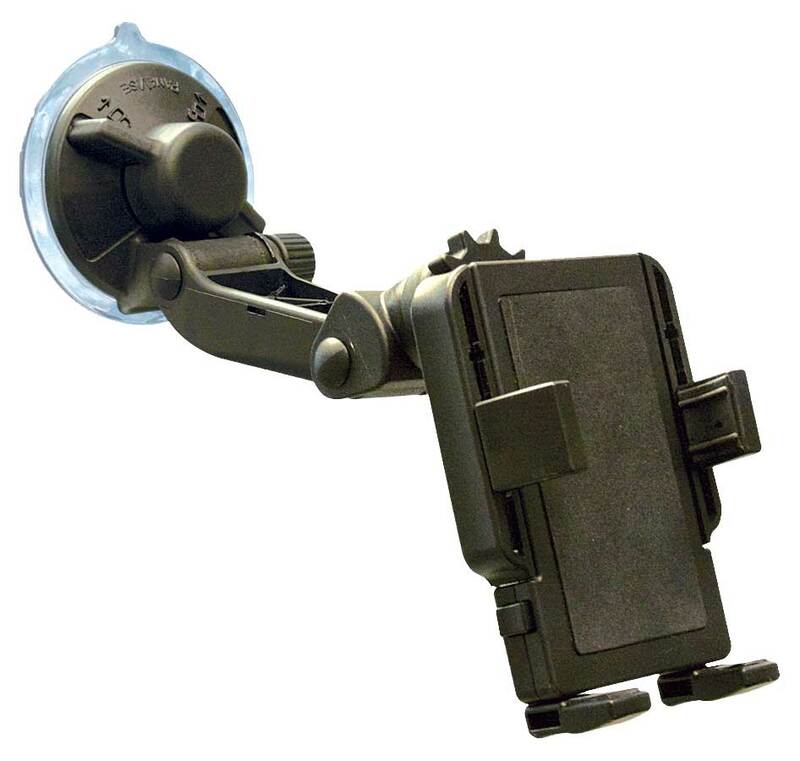 These two models feature foam-backed, fully adjustable tilt cradles that allow you to position and rotate the phone as you like. The padded bumpers are also adjustable, ratcheting along the bottom and sides as needed to allow access to your phone’s ports and buttons, and their low profiles won’t interfere with your touchscreen. The shorter reach of the 811 is perfect for the closer windshield of my Jeep, and the 709B’s long arm works great in the larger cab of the MAKE Mobile fire truck.